The Anne Frank House is a museum with a story. As a visitor, you experience this story through quotes, photos, videos, and original items. The atmosphere in the museum is authentic and subdued. Anne had to share a room with Fritz Pfeffer, which led to frequent arguments. Not being able to go outside was hard for her. Her diary was a place to vent. To brighten up the room, Anne put pictures on the wall. Here you can see the original red-checked diary Anne Frank received for her 13th birthday on 12 June 1942. A few weeks later, the Frank family had to go into hiding. Once in the Secret Annex, it was not long before Anne had filled her diary, and she continued writing in notebooks. In March 1944, Anne learned that the government would be collecting diaries after the war and she decided to rewrite her entire diary. She dreamt of becoming a famous writer and journalist. 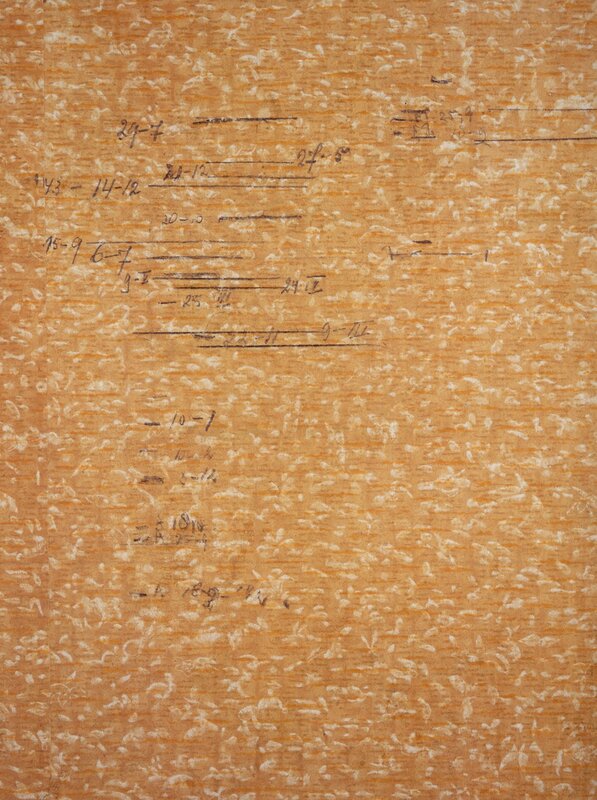 The rewritten version consists of 215 loose sheets of paper, some of which are shown alternately in the museum. The other two notebooks on display are the ‘Favourite Quotes Book’, in which Anne copied quotes she liked, and her ‘Tales Book’ with short stories she had thought up. 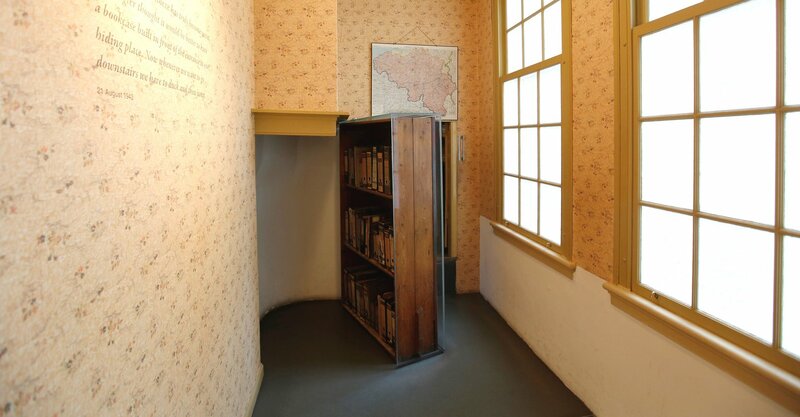 The collection of the Anne Frank House consists of around 15,000 documents and artefacts. 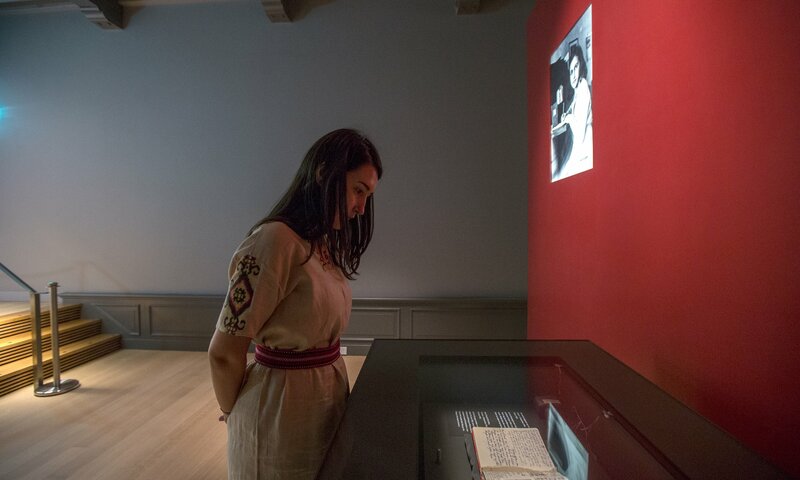 They tell the story of Anne Frank, her diary and the Secret Annex. The museum doesn’t have enough space to put everything in our collection on display, but the small exhibition Tangible Memories gives you an impression of its diversity, and features a number of remarkable artefacts. This exhibition contains a film in which 22 writers, actors, visitors, and people who knew Anne talk about what she has meant to them. ‘Our hiding place has now become a true hiding place. Mr. Kugler, you see, thought it would be better to place a cupboard in front of our door, (there are a lot of searches being carried out for hidden bicycles,) but then of course a cupboard on hinges that can open like a door. Mr. Voskuijl built the piece of furniture.’ Anne Frank wrote in her diary on 21 August 1942. 'Writing lets me get rid of it all, my sorrow disappears, my courage is revived!' Anne wrote in her diary on 5 April 1944. 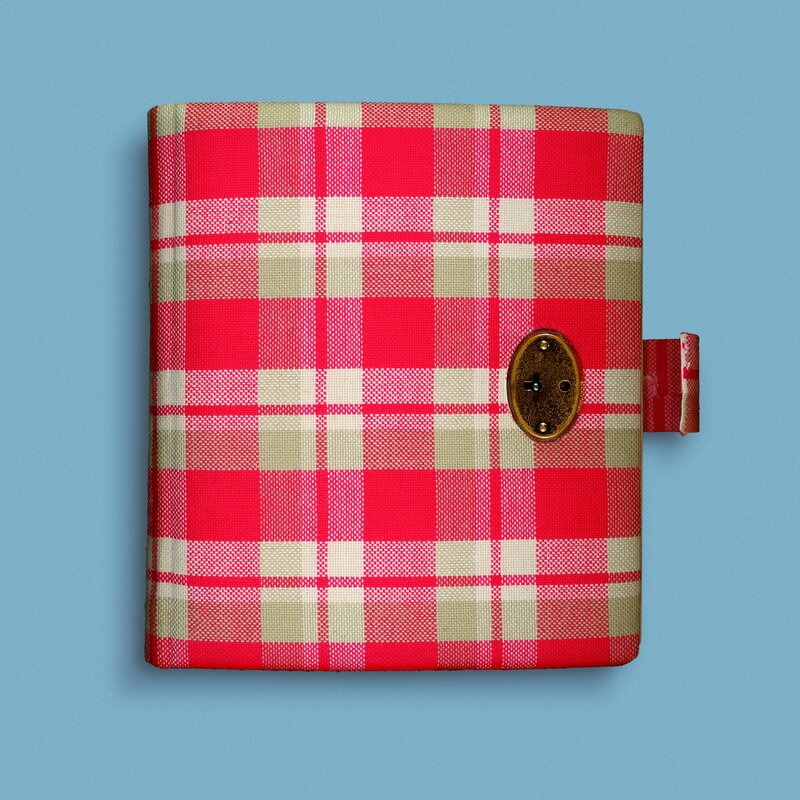 Anne Frank’s original red-checked diary is on display at the museum. 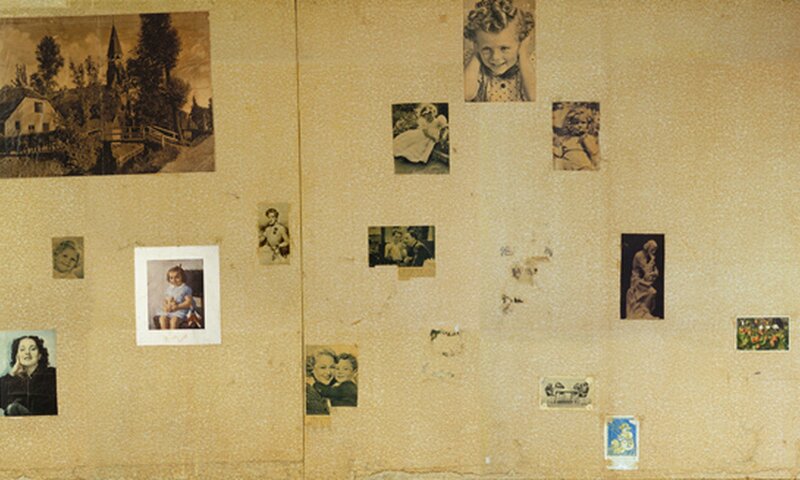 From the start of the period in hiding, Otto and Edith Frank marked their daughters’ heights on their bedroom wall. In two years’ time, Margot grew 1 centimetre while Anne grew over 13 centimetres. The people in the Secret Annex followed the advance of the Allied Forces on the radio. 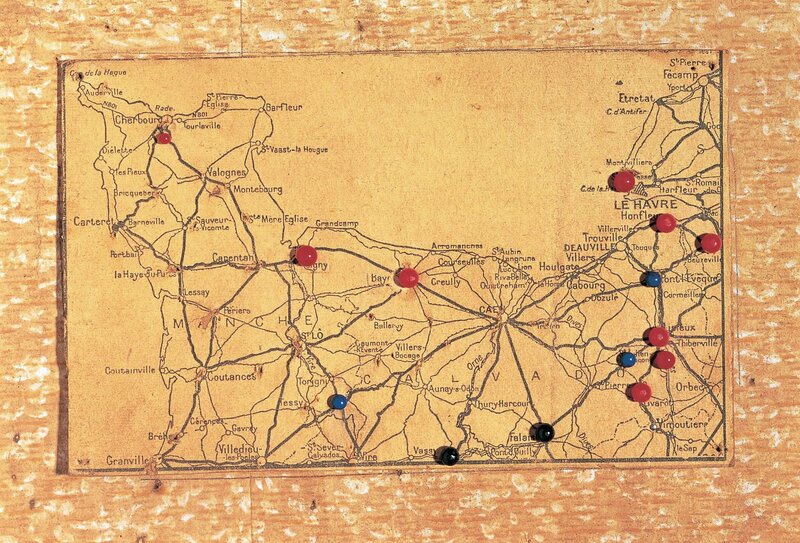 Otto Frank kept track of their progress on a map.